I have a family member who is a mail carrier. Conversations with him have given me a new appreciation for how hard they work and also an awareness of how small acts of kindness can affect their day in such a positive way. 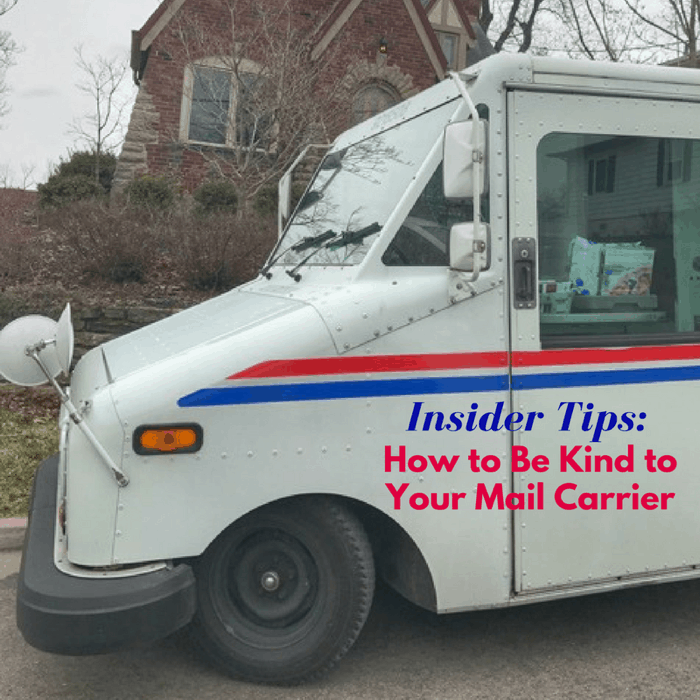 February 4th is National Thank a Mail Carrier Day and I wanted to give you some insider tips for how you can be kind to your mail carrier all year round. 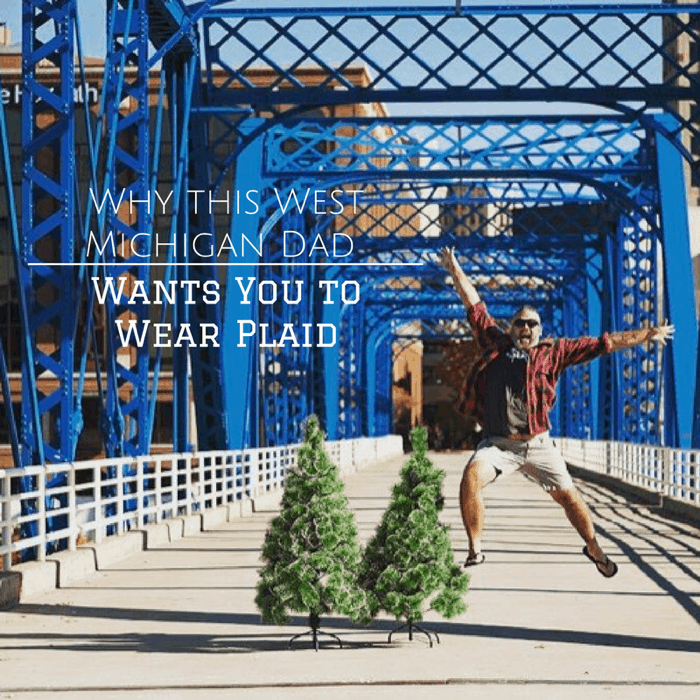 A few years ago in December, I noticed our friend, Tim Ruff, getting pretty passionate about plaid on his instagram account. I think one of the biggest challenges of sponsoring a child is being mindful of them. 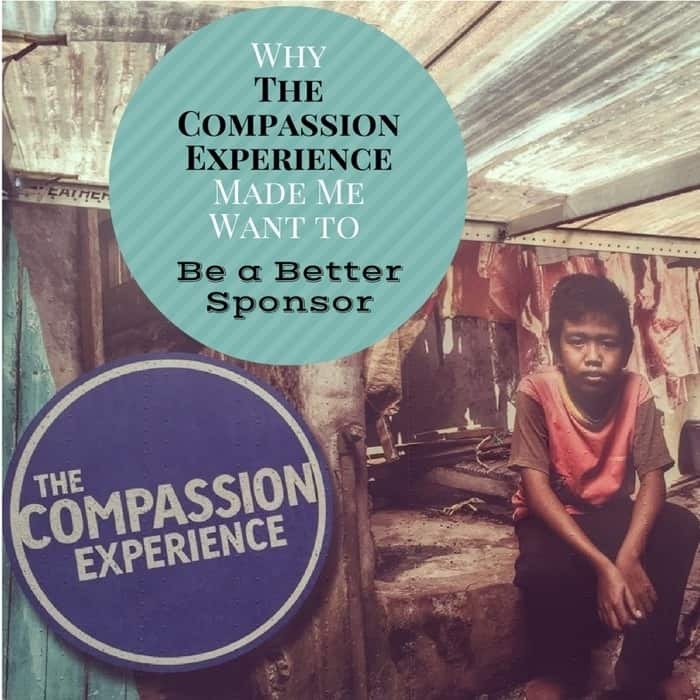 Our family knew that we wanted to join our community when we were given the challenge to sponsor more kids in the country of Nicaragua than had ever been done before…. As a parent, I want to instill in my kids a sense of gratitude and respect for others from all walks of life. It’s so easy for all of us to feel entitled or take things for granted. I can easily fall into the trap of comparison in my own life until I’m brought back to reality with large, humbling doses of perspective. I wanted my kids to be stretched in this area in a new way. 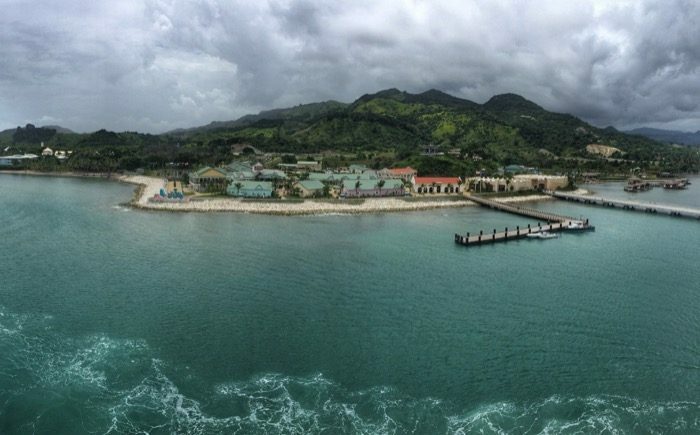 That’s where a family adventure on a Fathom cruise came in. 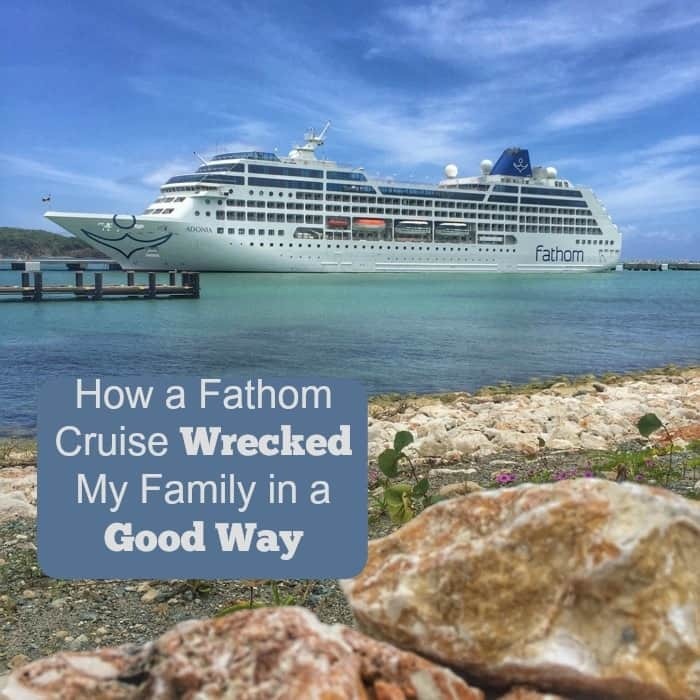 I was invited by Fathom to be on the final pilot trip to the Dominican Republic in the spring before Fathom launched their new cruise line focusing on impact travel. So how is this cruise line different? Well, they are cruising differently. 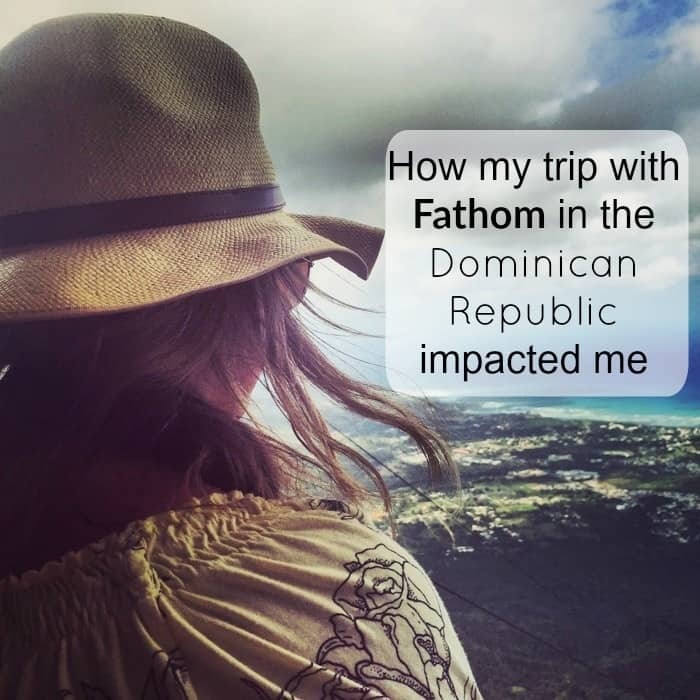 There is so much to reflect on from my incredible impact travel experience with Fathom in the Dominican Republic. The people that I met on our team, along with the locals that we interacted with and worked beside, truly left an impression on my heart. I have soooooo many stories to share with you! One of my challenges after the holiday season is to continue to model a lifestyle of giving all year round with my family. I feel like giving tends to come easier for our family in the months of November and December because it ties in with thankfulness and gift giving. 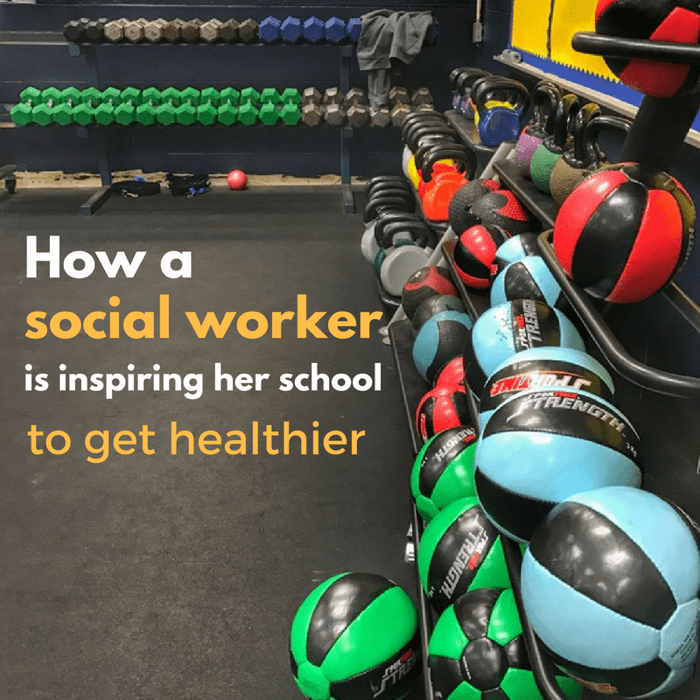 After the holidays, we have good intentions and sometimes they are that are just that….good intentions. I’ll think about lots of ways to give…and then I’ll forget about it…or I’ll get a great idea while I’m doing something else, at a time when I can’t stop to put that thought into action. Sometimes giving can feel like another thing on my to do list of what I should be doing. I want our family to give more with more frequency. Sometimes I just need the reminder and the deadline to give myself accountability. I was involved in a feeding program for the homeless community in downtown Dallas for one semester during college. Each week we would meet a pastor who would drive 30 miles one way with donated food from local fast food restaurants. 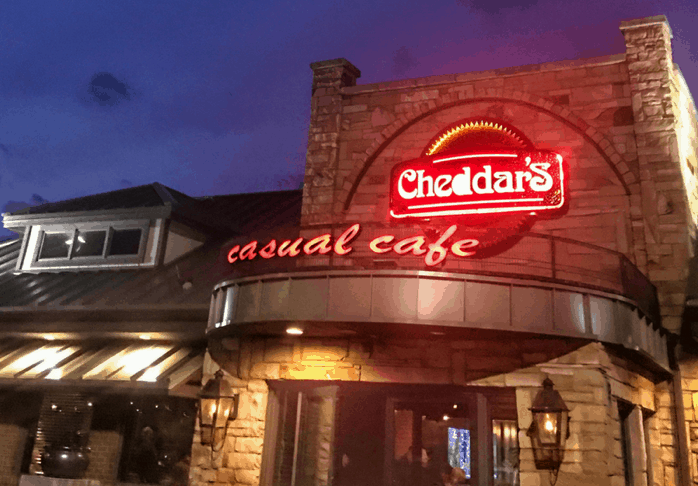 Each week we would spend time getting to know the people who came for a meal. On my first day, I met a man named Charles. He was middle aged and great at crocheting things. The following week, I decided to bring him some yarn. As a college student it wasn’t much, but I thought it would be nice for him to have more supplies to make items with. On one of my next visits I was given a gift from my friend. 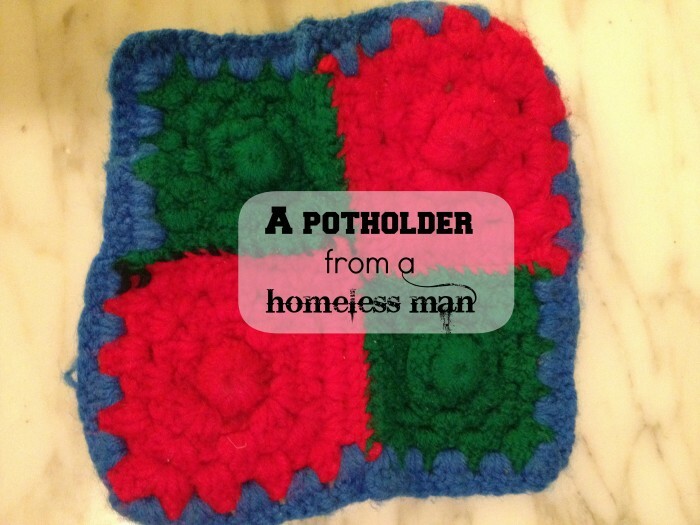 A potholder. That potholder has been in my kitchen since 1998. It reminds me that someone who had nothing, gave a gift from the heart out of what little he had. 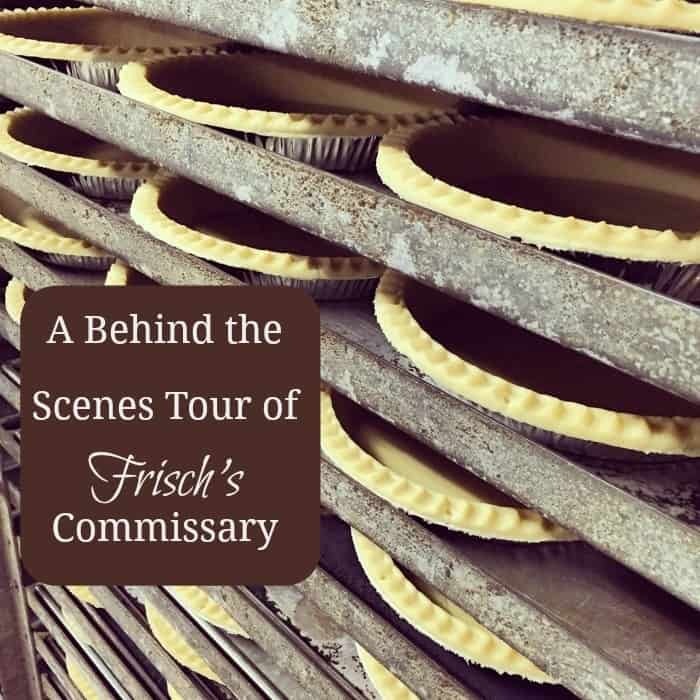 I was invited to learn a little more about the food prepared for Frisch’s on a behind the scene tour at the Commissary and Processing Center. Frisch’s Big Boy is a chain that has 121 locations in Ohio, Kentucky, and Indiana. One of my favorite parts about fall is the food, and pumpkin pie is at the top of my list. 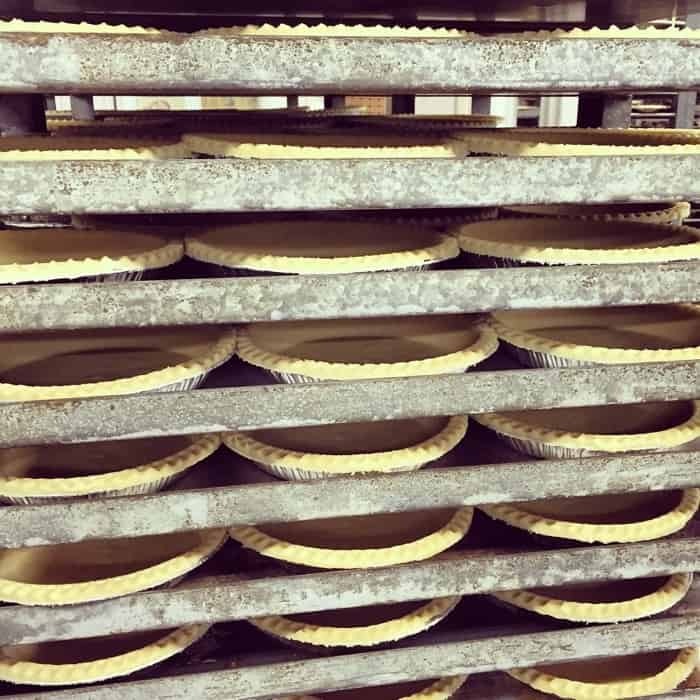 I was really excited to learn more about the process of making Frisch’s award winning pies. 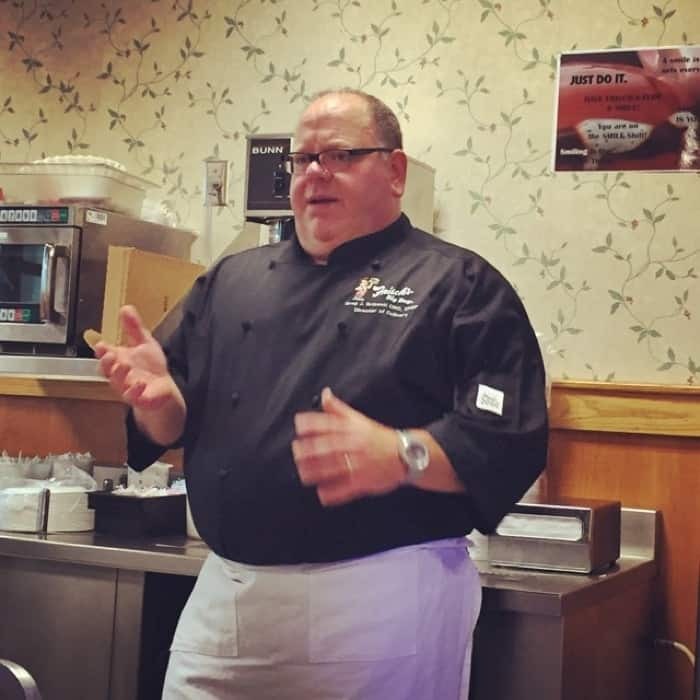 Our tour started in the test kitchen where we learned more about the Commissary from Greg Grisanti who is the Director of Research & Development for Frisch’s. I honestly had no idea that Frisch’s made 80% of their food in house. The more he shared, the more I appreciated the detail that goes into making the menu items at Frisch’s. We learned that the food is fresh and never frozen. 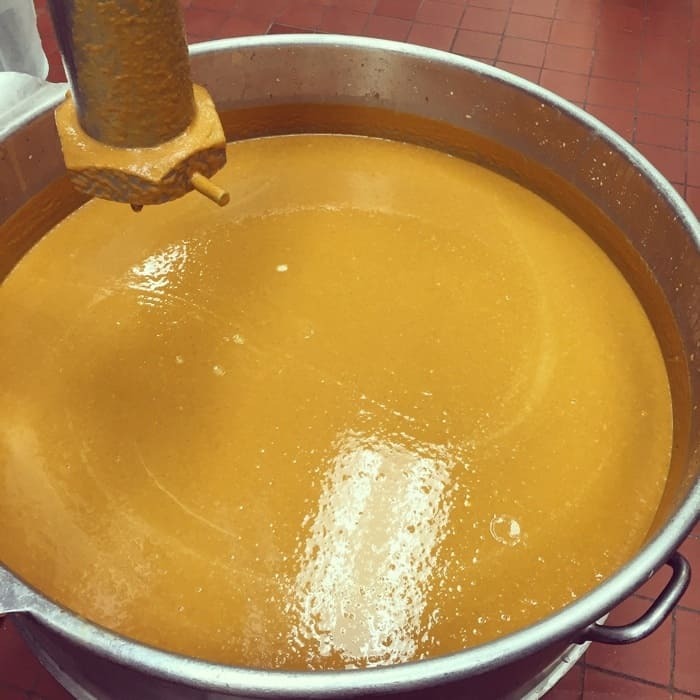 Soups are made fresh with no preservatives, they make all of their bread except for their buns, they have a spice room, their own produce department, and own their own truck fleet. They also update their stores every 5 years. 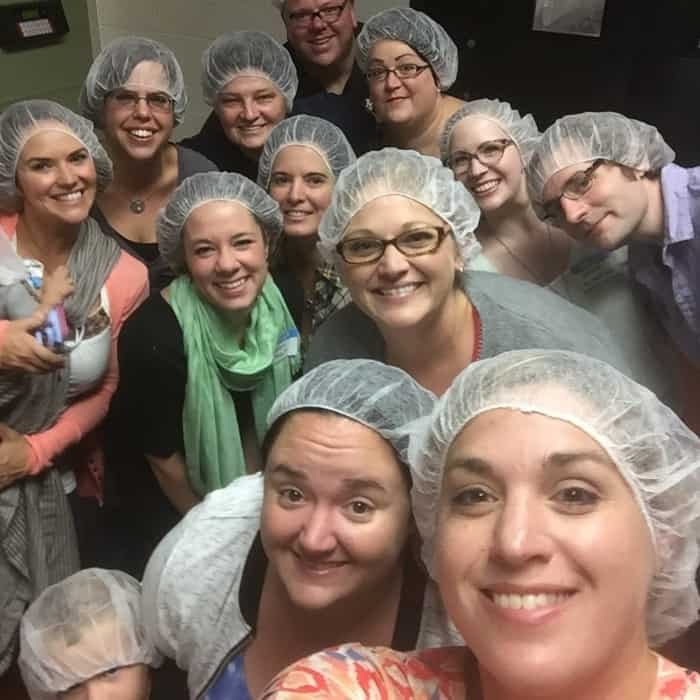 Next, we put on some fabulous hairnets and started our tour. We learned that Frisch’s Big Boy has been baking pumpkin pies from the same closely guarded secret recipe and the best-available, highest-quality ingredients for more than 50 years. Even during our tour, our guide didn’t give away all of the secrets. 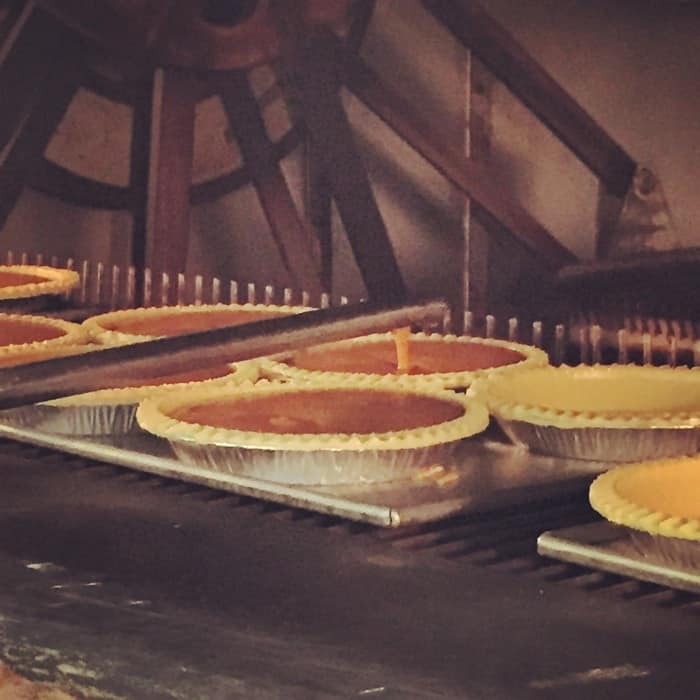 They only use 100% pure pumpkins in their pies and their crusts are made fresh daily. 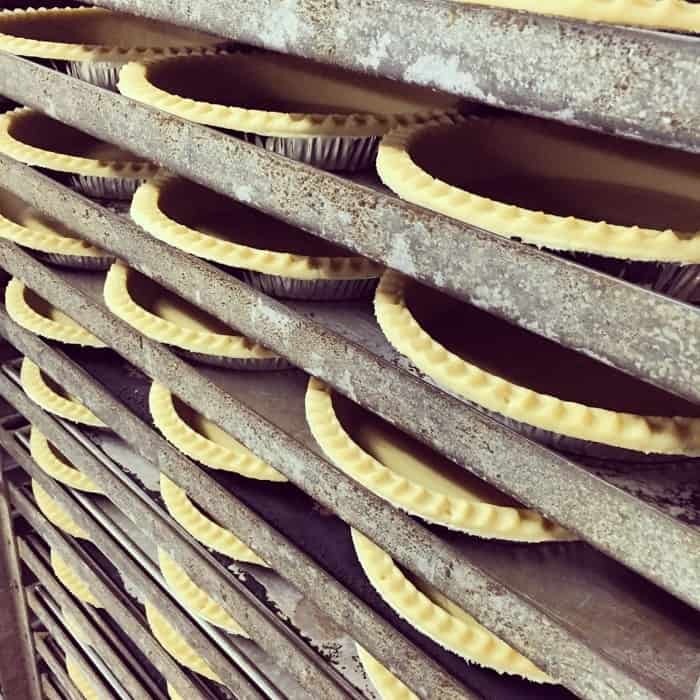 The pies are made in small batches each day to ensure the highest quality which means that they are fresh, never frozen. 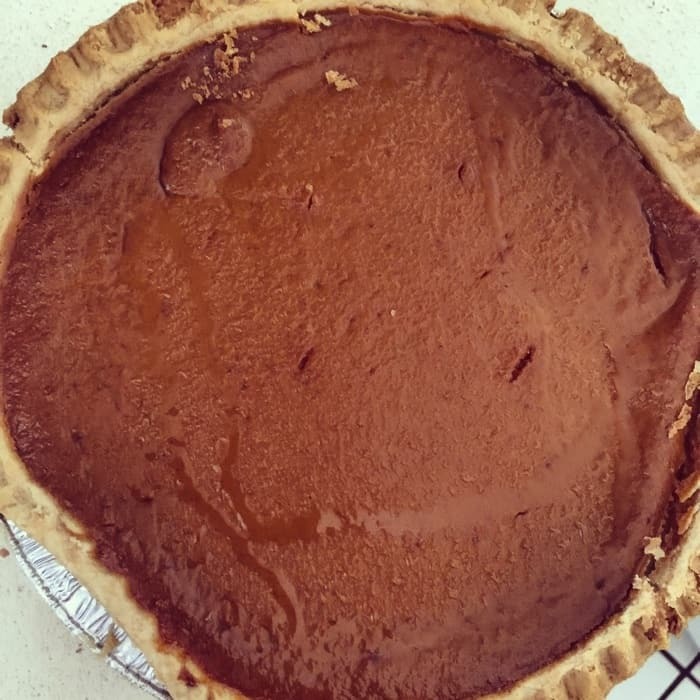 There are over 45,000 pumpkin pies made over the Holiday Season! If you have tried a slice of their pie, you know why. It was really interesting to see the pie making process in action. 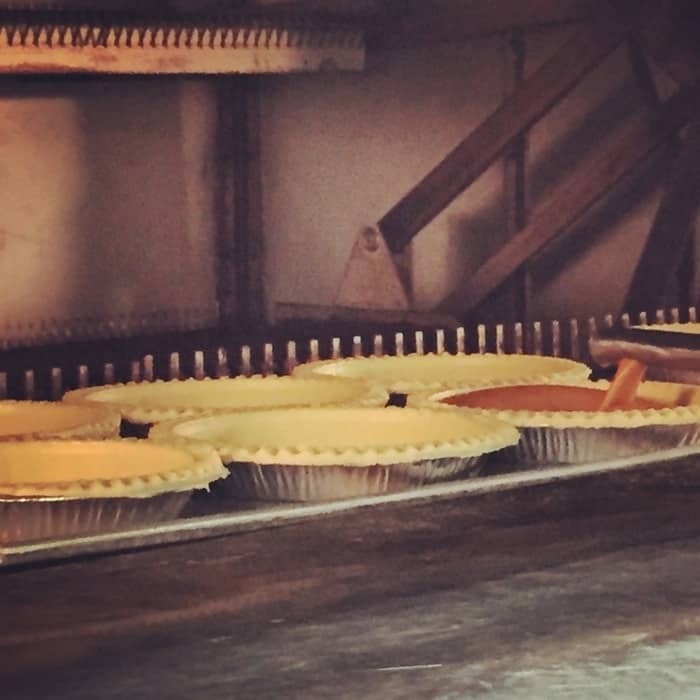 The pies are each filled to a predetermined level of the pie crust inside the oven before they bake using a special filling rod. During our tour, we learned more about the onions used for the onion rings. 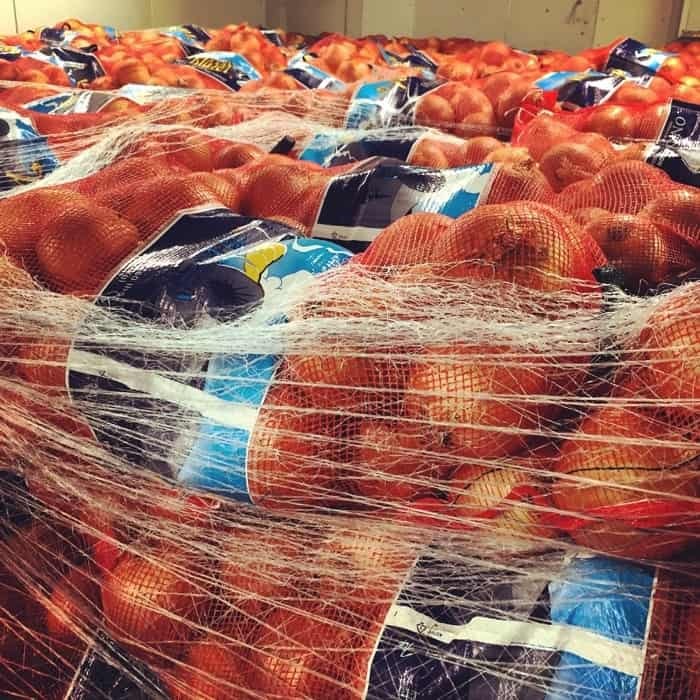 The onions are from a special size of seed from onions grown in Oregon and Idaho. Here is a tip for the next time you eat an onion ring, a clean bite means that it’s a fresh onion, a stringy bite means that it was a frozen onion. 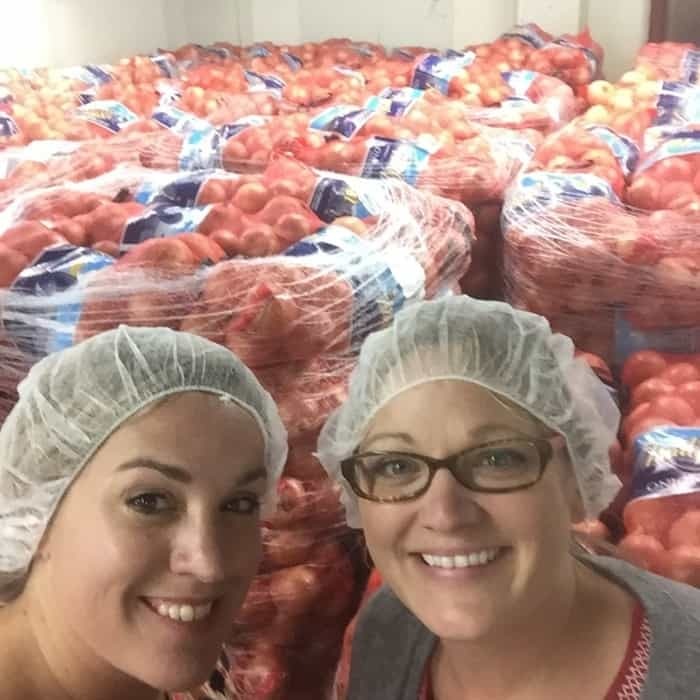 When given the opportunity to visit the onion room filled with onions as tall as you are, you might as well take a selfie right??? What’s amazing is that someone is in that room while a machine is slicing the onions each day. We were given a pumpkin pie as a souvenir from our adventure and I must confess that I ate my designated slices as soon as I got home. All of that talk about onion rings and Big Boy sandwiches also meant that I couldn’t think of any other options for dinner. 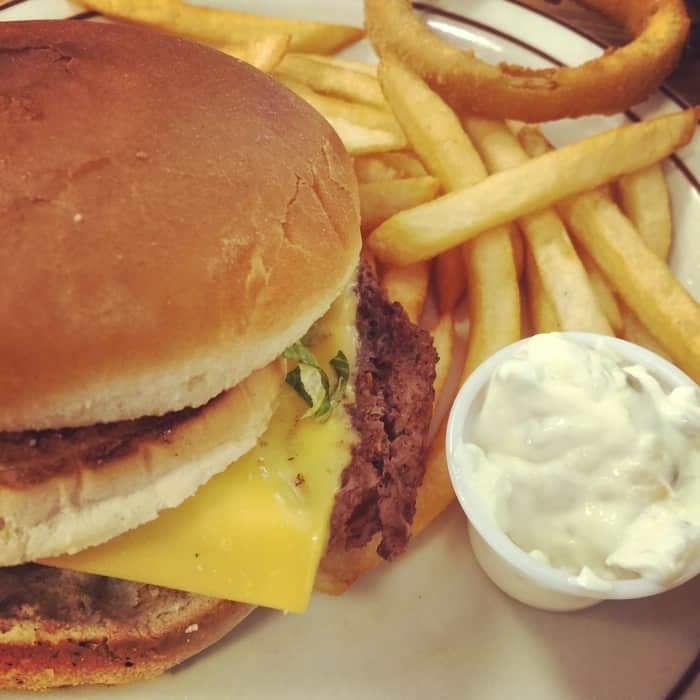 I talked my husband into getting the onion rings and of course I had to dip my fries in the Frisch’s special tartar sauce that is made without sugar. 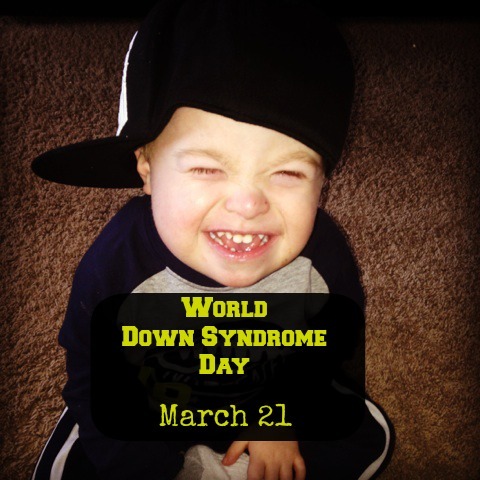 Do you know someone who deserves a little extra recognition? Frisch’s Big Boy wants to reward people with one of their FREE award-winning pumpkin pies! Did a grocery store employee go the extra mile and help you to your car with heavy groceries? 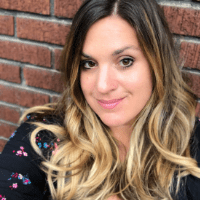 Did your son’s teacher stay after school to help him understand his math homework? Who do you know that has earned recognition? Nominate them to win a pumpkin pie today on Frisch’s Facebook page. It only takes a minute. From October 19 to November 21, 2015, five winners will be selected each week. Everyone knows someone who deserves a FREE Frisch’s pumpkin pie! Send us those nominations! 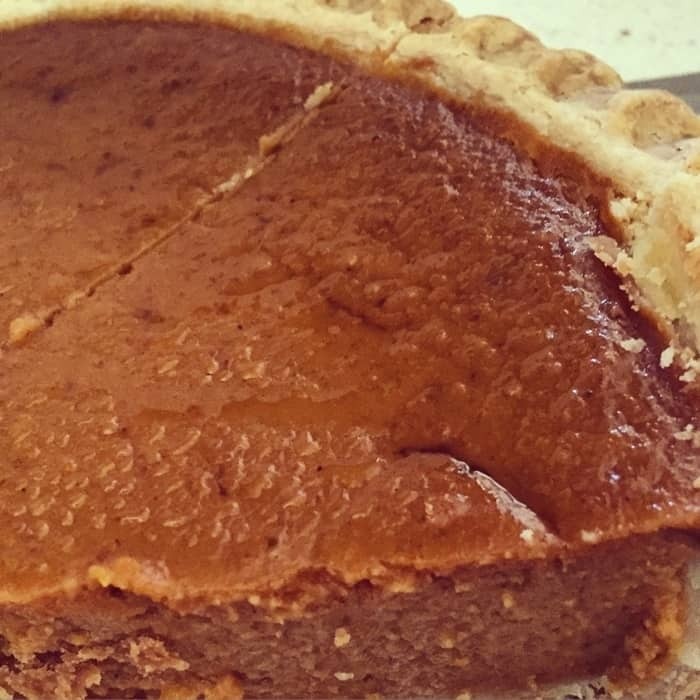 Craving a pumpkin pie yet? Whole pumpkin pies are available at Frisch’s Big Boy restaurants via carry out or drive-thru. 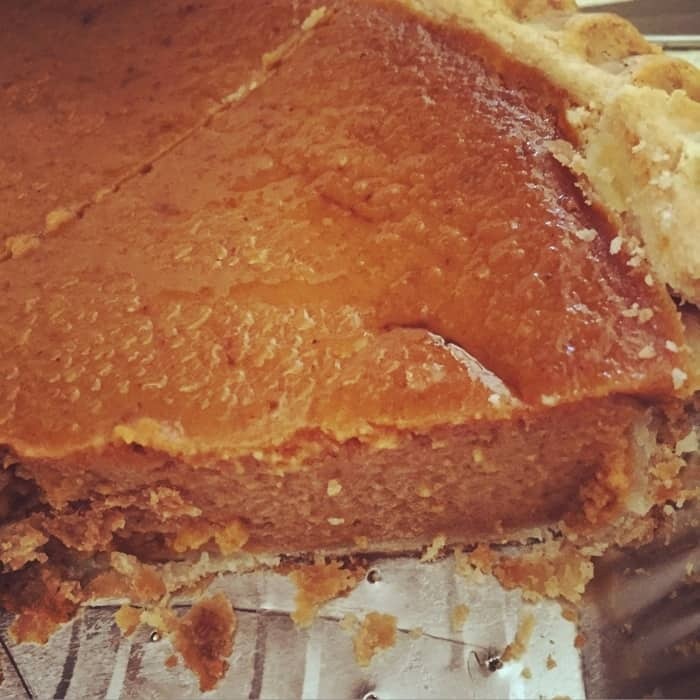 Slices of pumpkin pie are available for dine-in, carry out or drive-thru. A slice of pumpkin pie is priced at $2.70, and a whole pumpkin pie at $10.25. You can order your holiday pies today! Go to frischs.com to find your closest location. Thanks to Frisch’s for providing a gift card for helping get the word out.